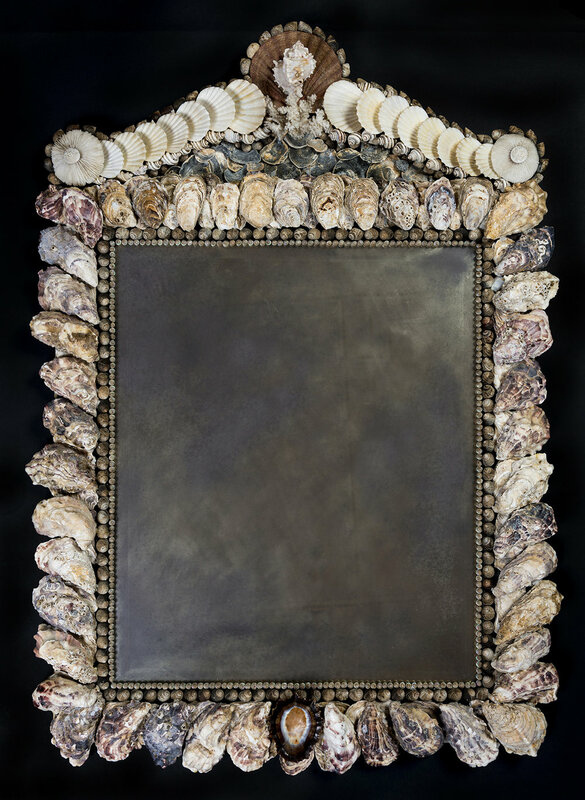 A rectangular looking glass with native winkle and oyster shell surround. The pediment with scallop shell finial surmounted by a single murex and flanked by broken scrolls of white fan shells. A black South African limpet pendant to the base. 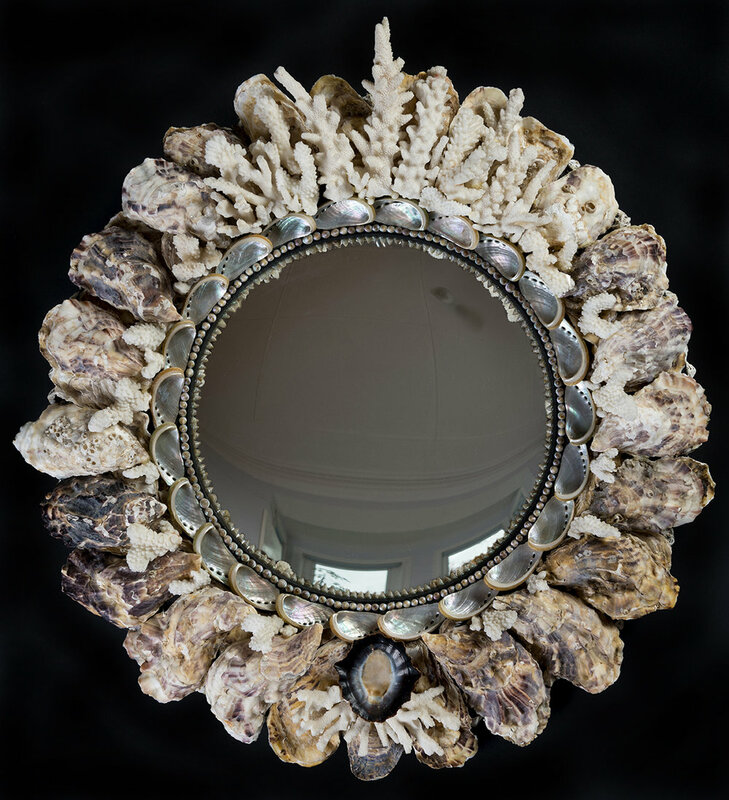 A magnificent white shell mirror with ascending scroll pediment, matching sides and apron. 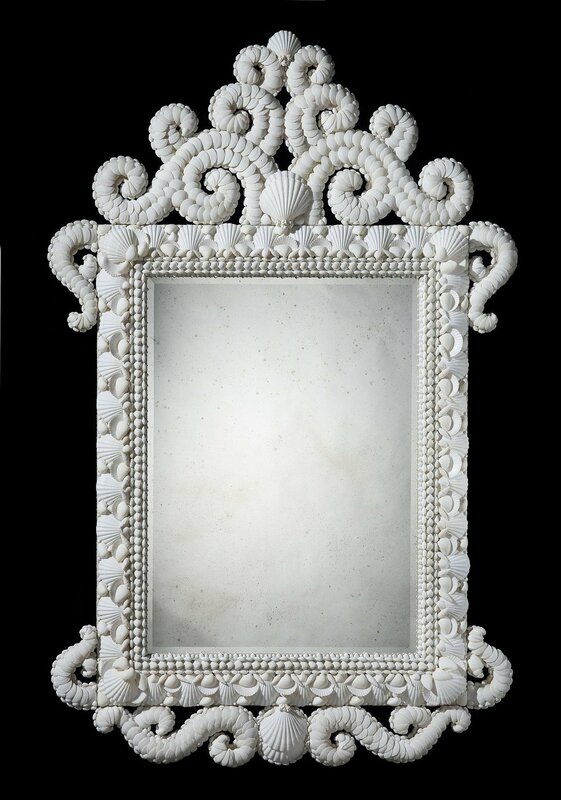 A vast selection of carefully chosen white shells have been used to embellish this ornate looking glass. Mirror plate hand distressed and with bevel edge. 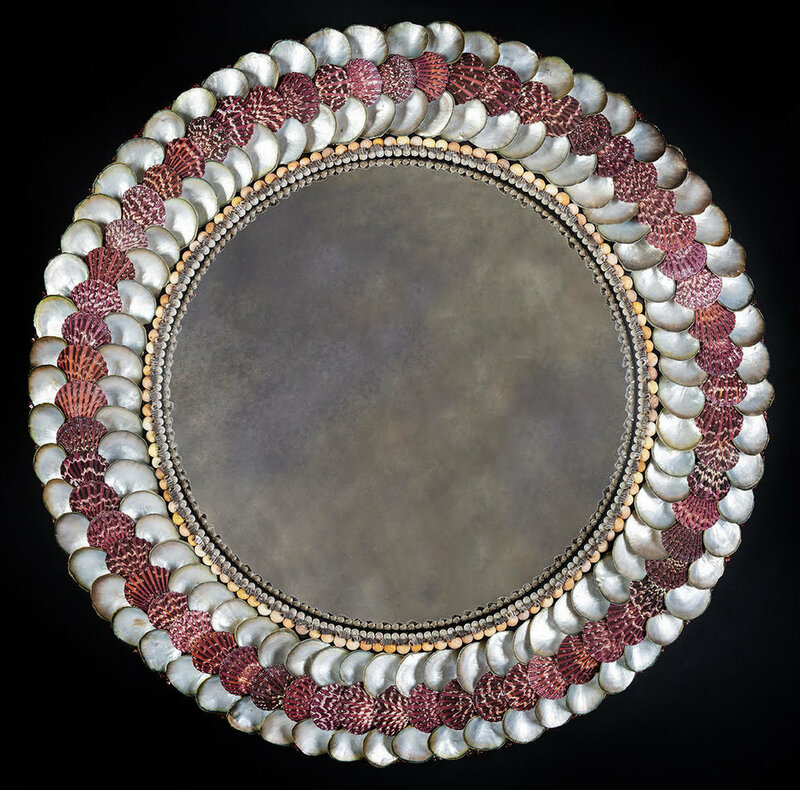 A convex shell mirror decorated with natural brightly coloured pectin shells and yellow periwinkles, arranged on a background of purple crushed glass.